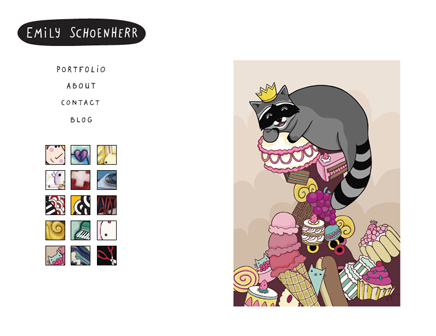 My website got a small facelift a week or so ago. It still remains super simple like my previous site (I’m a sucker for simplicity), but I feel like it better reflects my personality with the new typography. And a huge hip-hip-hooray since it now reflects my married name. I have some new illustrations in the works for a portfolio update, but for now I’ll just keep posting new stuff to the blog (which will also get a new facelift “eventually”). Had a good holiday yesterday! 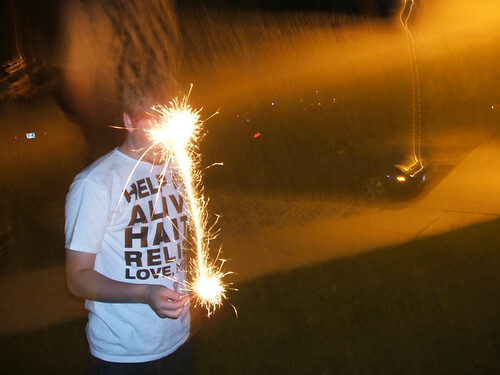 We had fun with sparklers. 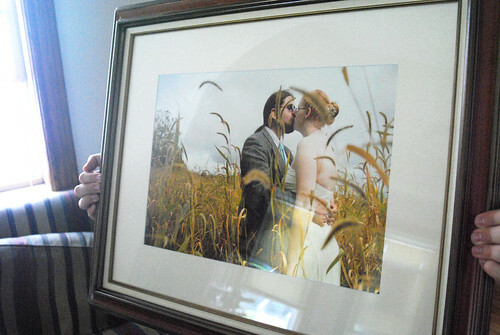 A few weeks prior, I forced my husband to learn how to cut mats, so that he could cut a nice mat for our wedding photo that’s been sitting in a box in our dining room for eons. 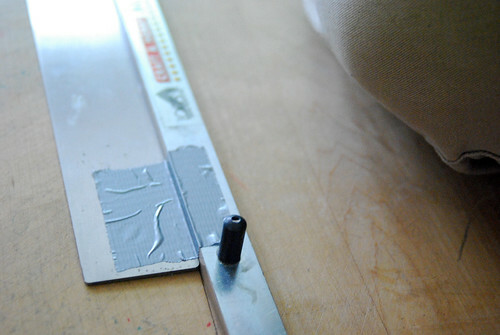 Unfortunately, the size it needed exceeded my mat cutter’s capabilities, so he rigged a makeshift cutter with parts of the mat cutter and a T-square. Quaint! Yesterday, we finally made it out to a craft store to pick up some framing supplies for the backing, and yayyyyy. Our framed wedding photo is finally complete! It’s been a long journey since we decided to D.I.Y. the entire thing. But unfortunately we’re now less than a month away from moving, so we aren’t going to hang it until we move into our new place in the beginning of August. In the meantime, it lies propped up against the wall behind out tv, so any friends over at our place watching tv in the next month will have to stare awkwardly at a photo of us kissing. You are currently browsing the cat jamboree » emily schoenherr illustration blog archives for July, 2011.